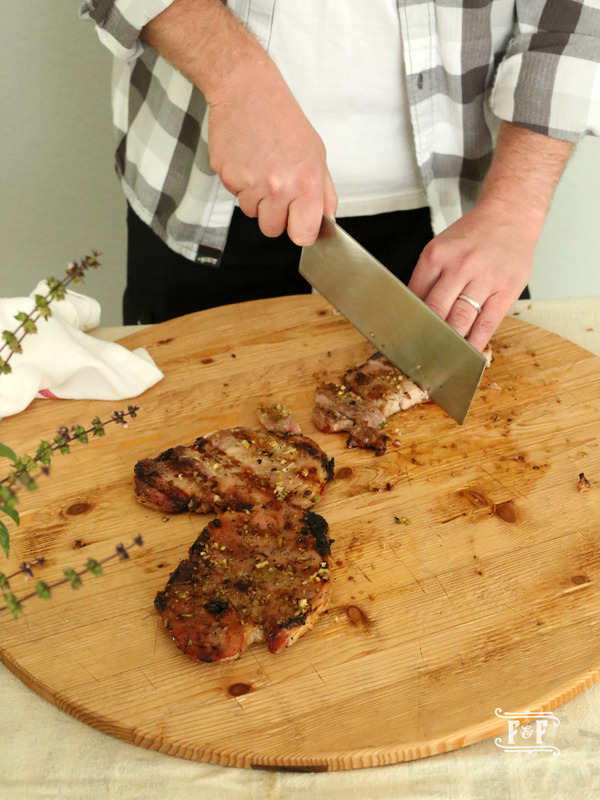 Cook the pork chops until an instant-read thermometer inserted into the thickest part of the chop registers 140°F. Transfer the chops to a plate, tent with aluminum foil, and let stand for 10 minutes. Place pork chops in a baking dish just large enough to hold them in a single layer. In a small bowl, whisk together lime juice, fish sauce, chiles, garlic and sugar. Pour the mixture over chops and turn to coat. Cover and refrigerate at least 1 hour and up to 1 day, turning chops occasionally.